Student ActivPen 50 - Single. Teachers told us they found that touch-sensitive screens could be temperamental. Educational specialists told us childrens writing is best developed by holding and using a pen from a young age. 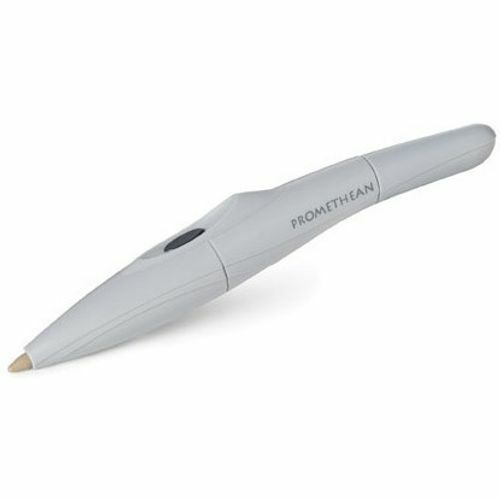 So Promethean designed a unique battery-free, wire-free ActivPen. ActivPens mouse-like functionality and pen-like personality offer come-to-the-board capability that todays tech-minded kids know and use well. What is the Promerhean Student ActivPen? It writes just like a pen ... and acts just like a mouse. And its highly, highly accurate and precise. So you can measure and mark on screen to the millimetre or degree.